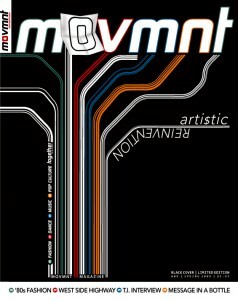 Mia Michaels column for movmnt magazine. Mia is a world-renowned choreographer. She was recently awarded her first Emmy Award for Outstanding Choreography for Calling You, created in 2006 for Fox’s So You Think You Can Dance. A midsummer daydream with Choreographer Mia Michaels in an exclusive movmnt fashion editorial featuring and written by Mia Michaels. Mia Michaels, choreographer, outspoken judge on So You Think You Can Dance brings you within her creative world in this unique photo editorial for Movmnt Magazine. I remember as a little girl going to see a Broadway show with my dad every summer. I remember the electricity in the audience before the curtain rose. Why do we dance? Why does our body want to move and pulse when music invades our ears? Choreographer Mia Michaels tells it raw, in her Movmnt Magazine column.